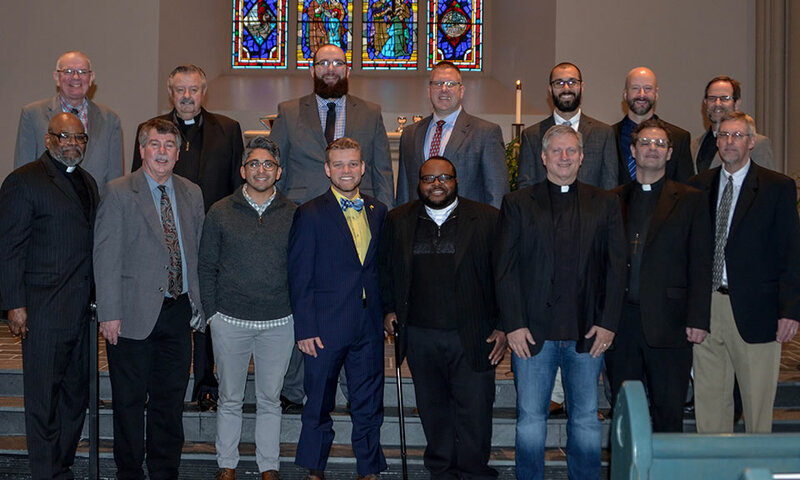 Thirteen students in the Specific Ministry Pastor (SMP) Program at Concordia Seminary, St. Louis received their vicarage assignments in the Chapel of St. Timothy and St. Titus Wednesday, Feb. 6. They will serve congregations and ministries of The Lutheran Church—Missouri Synod (LCMS). Concordia Seminary’s SMP Program is a four-year distance-education program in which men receive both academic and hands-on training for life in pastoral ministry. Local pastor-mentors work alongside SMP students, providing them with opportunities to serve the various needs of the church. To learn more about the Seminary’s SMP Program, visit www.csl.edu/smp.